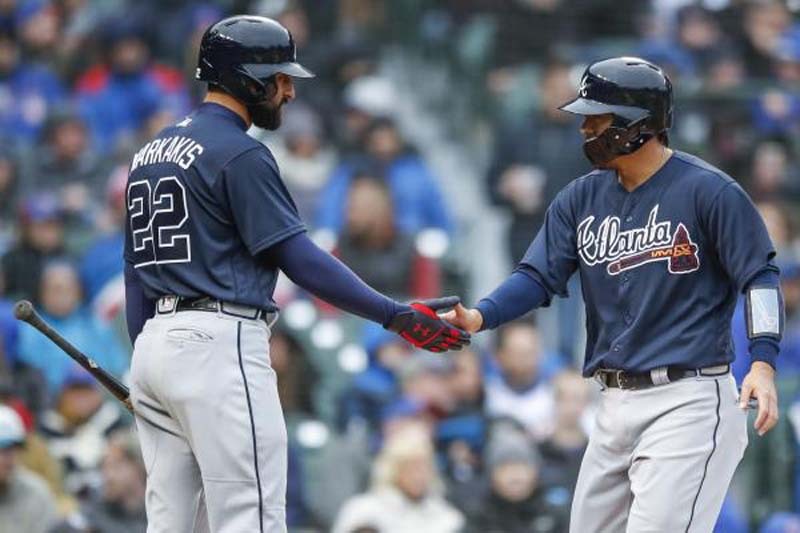 The Atlanta Braves hope to continue their early season success against the New York Mets when the teams play a doubleheader on Monday to open a four-game series at Atlanta's SunTrust Park. Atlanta has won five of six meetings against the Mets this season and swept a three-game series in New York in early May. The day-night doubleheader was scheduled to make up an April 22 rainout. The Braves (30-21) completed a 2-4 road trip with a win in Boston against the Red Sox on Sunday and moved back into first place in the National League East. The Mets (25-24) dropped three of four at the Milwaukee Brewers during the weekend and have lost five of their last six. New York will start Jacob deGrom (4-0, 1.54 ERA) in the first game of the twinbill against Atlanta's Max Fried (0-2, 6.00), who will make his first start of the season. Atlanta's Brandon McCarthy (5-2, 4.67) will start the second game. New York had not announced its starting pitcher. Possible candidates include P.J. Conlon, who was recalled from Triple-A on Sunday, and relievers Hansel Robles and Gerson Bautista, who may be activated Monday. McCarthy, acquired in an offseason trade that sent Matt Kemp to the Los Angeles Dodgers, has been solid all year. Atlanta is 7-3 in his starts and he has benefited from the second-best run support (3.5 runs) among the starting rotation. After two rough starts to open the month -- 14 runs in 8 1/3 innings -- McCarthy has regained his form. He allowed one run in each of his last two starts and totaled 13 strikeouts in the 11 2/3 innings. McCarthy has allowed two or fewer runs in six of his starts. In three career starts against New York, McCarthy is 1-2 with a 2.41 ERA. He has not faced the Mets this season. Fried was added to the roster as a 26th man for the doubleheader. He has made four relief appearances for Atlanta this year, but has worked exclusively as a starter in the minors and is 1-2 with a 3.12 in four starts between Double-A and Triple-A. Fried made one relief appearance against the Mets last season and struck out two in one scoreless inning. DeGrom has been almost untouchable in May. In four appearances, he has allowed one run and 12 hits in 19 innings with 29 strikeouts. He worked seven scoreless innings against the Miami Marlins on May 23 and did not receive a decision. "He's been dominant," New York manager Mickey Callaway said. "Not just good or solid. He's been dominant. He's not giving up any runs. We're in a good spot to win the game every time he pitches." It will be deGrom's third start against Atlanta and he did not figure in the decision in either previous game. He has thrown 11 scoreless innings against the Braves and allowed only six hits. His May 2 start was limited to four innings after he suffered a slight hyperextended elbow. In 13 career starts against Atlanta, deGrom is 5-3 with a 1.89 ERA. He is 4-2 with a 2.29 ERA in eight starts in Atlanta. "We saw a lot of good pitchers on this road trip and it's not going to stop when we get back home," Atlanta catcher Tyler Flowers said. Atlanta is waiting to learn the extent of an injury to rookie Ronald Acuna Jr. The outfielder stumbled and fell while trying to beat out and infield grounder in the seventh inning of Sunday's game and was removed from the field. Acuna was able to walk off the field on his own power and team officials referred to the injury as left "knee and back pain." New York is awaiting results of infielder Wilmer Flores, who left Sunday's game early with back soreness. The Mets also sent A.J. Ramos back to New York to have an MRI on his right shoulder.